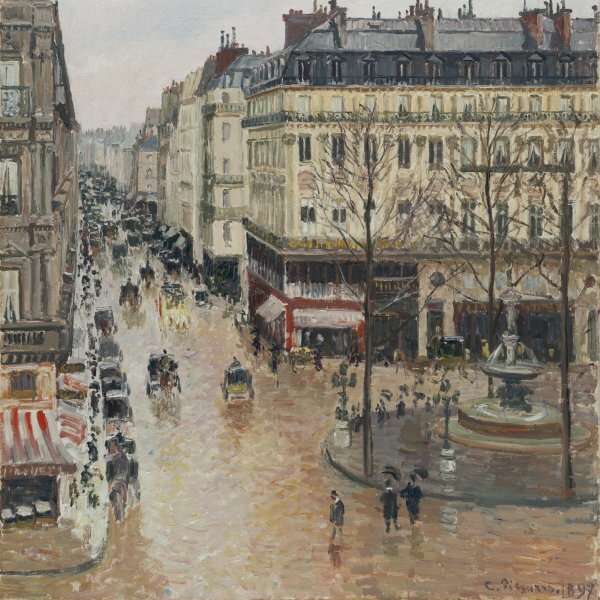 Born on the island of Saint Thomas in the Antilles into a wealthy family of Jewish origin, the French painter Camille Pissarro soon went to study in Paris, where he decided, against his parents’ wishes, to take up painting. 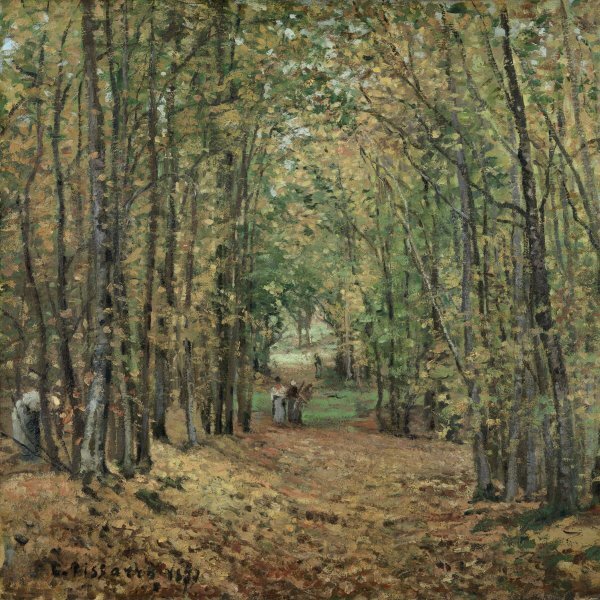 After returning to his home town to work in the family business for a few years and spending two years in Venezuela painting with the Danish artist Fritz Melbye, he went back to Paris in 1855. In the French capital Pissarro enrolled at the Académie Suisse, visited the Exposition Universelle, where he was impressed by the works of Camille Corot and Eugène Delacroix, and in 1859, the year he met Claude Monet, Auguste Renoir and Alfred Sisley, took part in the Salon for the first time. During the 1860s he continued to show his works at the successive Salons, but their rigid principles soon clashed with his anarchistic political ideas, and he ceased to take part in official exhibitions in 1870. His painting always remained stylistically in the orbit of Impressionism, except for a short period of experimentation with the Neo-Impressionist technique under the influence of Georges Seurat in the mid-1880s. Pissarro was a firm believer in the idea of an artist’s cooperative and played a major role in organising the activities of the Paris Impressionist group, encouraging artists such as Paul Cézanne and Paul Gauguin to take part. He was the only artist to show his works in the eight Impressionist exhibitions held between 1874 and 1886. 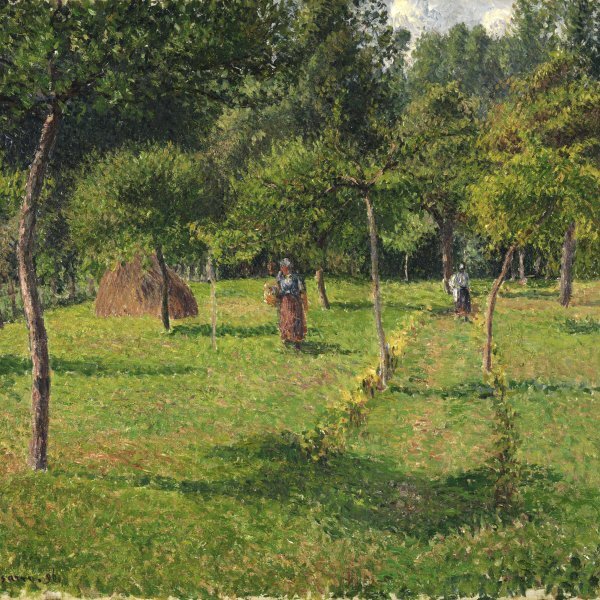 After moving to Pontoise in 1866, Pissarro spent practically all his life away from Paris and was basically a painter of landscapes and rural scenes and one of the first to practice plein air painting with conviction. At the end of his life he had to move to the city on account of his failing eyesight. It was then that he began to paint sitting at a window and captured the changing activity of the streets of cities like Rouen and Paris. 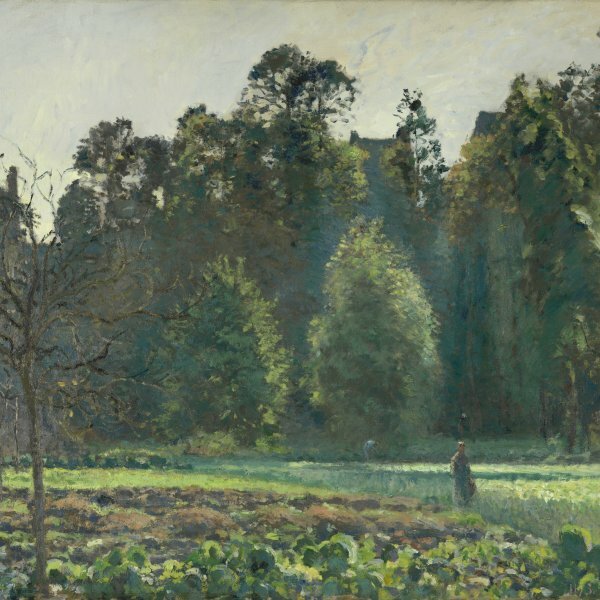 The idyllic and harmonious rural landscapes gave way to a series of urban views in which Pissarro, the relentless observer, immortalised life in the modern city.